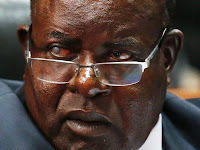 Thursday, February 7, 2019 - Thursday was a big day for Homa Bay Governor, Cyprian Awiti, after the Supreme Court upheld his election. Awiti, who is popularly known as Akumba (Big Man) by his supporters, was nowhere to be seen during the ruling. Awiti has been missing from the public for quite some time due to ill health. He has been in and out of the Country seeking specialized medical attention. According to sources who attended a celebratory party organized at Awiti’s home in Karen, Nairobi, he is too ill and almost going blind. The Governor flew abroad recently for an eye transplant and came back to the Country but his health has deteriorated despite seeking medical attention from a top specialist. A section of leaders from Homa Bay County want Awiti to resign because of ill health that has affected his productivity. His handlers lie to the public that all is okay but the Governor is too ill and almost going blind after he was diagonised with diabetes.